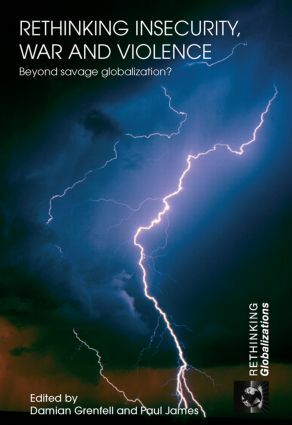 Rethinking Insecurity, War and Violence: Beyond Savage Globalization? is a collection of essays by scholars intent on rethinking the mainstream security paradigms. Too often the arenas of violence have been represented as if they have been triggered by reassertions of traditional and tribal forms of identity, primordial and irrational assertions of politics. Such ideas about the sources of insecurity have become entrenched in a wide variety of media sources, and have framed both government policies and academic arguments. Rather than treating the sources of insecurity as a retreat from modernity, this book complicates the patterns of global insecurity to a degree that takes the debates simply beyond assumptions that we are witnessing a savage return to a bloody and tribalized world. It will be of particular interest to students and scholars of international relations, security studies, gender studies and globalization studies. Beyond Ethnocracy and conﬂict in Israel/Palestine?